While many say it never really disappeared, archery appears to be in fine form and more popular than ever in Oregon. At its simplest, all you really need is a stick, a piece of string and a shaft of wood to discover the world of archery. John Strunk dreams of carving the perfect bow from the perfect piece of wood. As Strunk carefully crafts his next “tool” from the 6-foot long, lanky stick of wood, it’s clear that the Tillamook County resident has a master bow maker’s touch. For nearly forty years, Strunk has tried and succeeded in creating everything just like native people might have: the bows, the arrows, quivers and broad heads. The natural materials he prefers for bow making include: bamboo, maple, osage and the long popular and gorgeous Yew wood. The native Oregonian said his passion for the bow was born as a kid while watching movies like “Robin Hood” that starred the then popular Hollywood actor Errol Flynn. “I love to shoot a bow just to see an arrow fly, and it gives me more pleasure to do it with a bow that I have made,” he says. The retired Tillamook school teacher not only excels at building the bows and arrows, but at shooting with them, too. He admitted that an evening doesn’t go by without leaving the shop behind and stepping into the backyard to shoot arrows. At Tigard’s Archers Afield – one of Oregon’s largest indoor shooting ranges – 28 lanes are jammed with youngsters learning how it’s done. Manager Kris Demeter said that young imaginations are fueled by new movies like “Brave” and “Hunger Games,” whose main characters discover independence and self-reliance with a bow and arrows. “We have many teenage girls coming in that want to resemble or be like the main characters they see in those two movies. 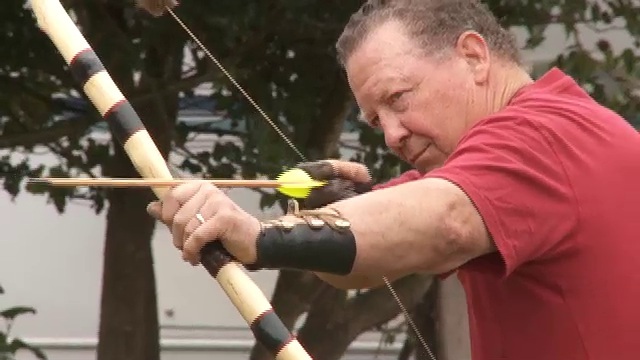 They want to wear the back quivers or shoot the longbows – it’s remarkable,” says the longtime manager. 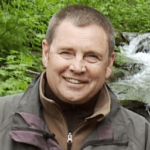 You can reach out to John Strunk’s “Spirit Longbows” to learn more about building bows and arrows. He teaches classes in the craft throughout the year. 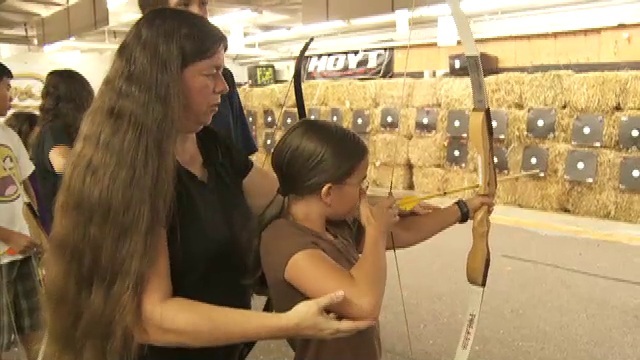 Traditional archery is more popular than ever and you can find clubs and shooting ranges across Oregon to give it a try. If you are interested in learning how to shoot modern bows, try the Oregon Bowhunters Assocation. You should also check out the archery clinic offered in ODFW’s Outdoor Skills program.